Thanks for stopping by. Thanks for your prayers and encouragements. I am thankful to God that I can continue to serve Him through this blog. One of my mission is to encourage others by sharing God's goodness and blessings and also encouragements from God's Words. I am very thankful to God for blessing my worship and fellowship in church yesterday. I was greatly ministered to by the Word of God. A visiting minister from Australia, Pastor Coleborn, spoke to us on "Lessons from a Storm" (Matthew 14:22-33). Matthew 14:22-33 is the passage on how one day the disciples of our Lord Jesus Christ found themselves in the midst of a storm. They were in a ship in the midst of the sea, tossed with waves. It was surely a very frightening experience. Our Lord Jesus Christ came in their hour of need and fear and assured them of His presence with them. He said those very comforting words in verse 27 "Be of good cheer; it is I; be not afraid." Then the Lord recounted to us the well-known passage on how Peter walked on the water when he saw the Lord. But along the way when Peter saw the wind boisterous, he was afraid; and beginning to sink, he cried, saying, "Lord, save me" v30. And immediately our Lord Jesus Christ stretched forth his hand, and caught Peter, and said unto him, "O thou of little faith, wherefore didst thou doubt?" v31. 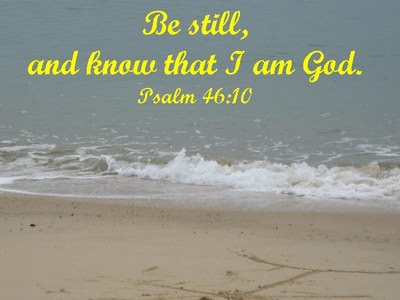 The Lord then calmed the storm. 1. There are storms in our life. In life we may face various challenges, difficulties and troubles. These are part and parcel of living in a fallen world. We experience stress, disappointment, quarrels, sicknesses, deaths, etc. We also have remaining corruptions in us and various temptations to sin which we battle with daily. The storms in our life are real. There will be storms in our personal life, our family, our work, our church and even when serving God faithfully. So even the disciples found themselves in a storm one day. 2. But we are not alone. The One Who is Mighty comes among us and is able to keep us and care or us and watch over us. He sees all that we are going through and He has never leave us even for a moment (Hebrews 13:5). 3. There is a Mighty Helping Hand with us. Peter cried out to the Lord to help him when he was sinking (v30). Likewise, we must learn to cry out to the Lord in our troubles. Our Lord is able to help us. He can calm any storms in our life. Our Lord Jesus Christ has died on the cross to give us peace, good will and good cheer. He has overcome the world and death. His death is not in vain! We need to look beyond our troubles and our difficulties to the One Who is in control and Who has the power to calm every storm. When we forget the Lord and see only our circumstances then we will find ourselves sinking like Peter. Thank God for this very comforting and encouraging sermon. How thankful I am that the Lord is with me in the storms of my life which are many! I am thankful to God for the assurance that He has loved me with an everlasting love (Jeremiah 31:3. He has promised that He will never leave me nor forsake me (Hebrews 13:5). He bids me to come to Him when I am weary and laden of sins and burdens in this life (Matthew 11:28-30). He promised that His grace is sufficient for me (2 Corinthians 12:9). In His mercies, He is working all things for His glory and my good even when I don't see it or understand it that way (Romans 8:28). I am thankful to God for the comfort of His Words and His presence with me daily. Thank God that He gives me great joy in waking up each morning, to commune with Him and to live for Him and serve Him. Are you going through some difficulties right now? Are you facing terrible storms in your life? Fear not, the Lord is with you! Call upon Him and He is able to work His ways for you or preserve you through the storms so that you will emerged more than a conqueror through Him Who loved you and died on the cross for you. May we continue to find God our refuge and strength (Psalm 46:1) at all times and especially during the storms in our life. May we know more and more of His love, mercies and faithfulness. May He deepens our love and devotions to Him each day and enable us to live gratefully for Him and serve Him joyfully all the days of our life until He calls us home to be with Himself where there will be no more tears, sicknesses, pains, sufferings, etc. Thank you once again for stopping by. Take care and may God grant you a very blessed week! Amen my friend, this is so true. I love you. Great post. I find I learn so much more from the storms and I think we all do. Blessings Nancie...I linked this up for Mission 4 Monday on my main blog...you're #6. So we'll continue to trust Him & praise Him through the storms of life. (You take good notes or just know how to preach well from what you hear) AMEN Sista Nancie!!! This really speaks to me and God's Word that you shared are excellent sources of comfort and encouragement. I seek His mighty hand blessing all that I am able to do for His name sake and more importantly daily as He reaches down to lead me, be my constant refuge from the storm and guides me through the waves of life. most importantly HIS GRACE! His mercies are new every morning, His strength I depend on, His love helps me endure and I pray that you, too are filled & refreshed by His WORD & life daily as you rise above life's struggles MORE THAN A CONQUEROR through Christ Jesus, Our Lord! It's such a blessing to see you & your post and your multiple visits that have blessed a rather sad day for me in memory of my brother's many years of being separated by death (I await our heavenly reunion)and am trying to fill my mind with Christ's JOY! You, my sweet sister have done just that! It is so true that we are not alone in the storms of life, and certainly every life has storms. Thank you for sharing these thoughts and scriptures. Wonderful lesson. Thank you for sharing these 3 points to us. great post Nancie and a great reminder Jesus is with us in the storms which will surley come. Jesus disciples brough to mind I know some of His disciples I know including myself have gone through. What an assurance to know that the Lord is with us through life's storms. He is the anchor, he is our shelter. It sounds like it was such an encouraging sermon, thanks for sharing it with us. What a beautiful and encouraging post, Nancie!! And it sounds like you had an uplifting worship yesterday. There is so much to be learned from the story of Peter walking on the water with Jesus, and you have pointed out 3 very important basic facts. I'm so glad that Jesus is with us ALWAYS!! By the way, I received your bookmarks on Saturday!! They are beautiful, and I thank you so much!! I'm going to take pictures and link them to your bookmark site. They would make wonderful Christmas presents. It that okay with you--to link them so that others can see all of them? Thanks, dear friends, for stopping by and all your encouragements. Thank God for His presence with us through all the storms in our life. I have some newly designed bookmarks. I am also selling simple cards and calendars for 2009. I am thankful that I can serve God and His people in these small ways. Thanks for helping to let others know. Take care and have a blessed week, all of you! Great Mission4Monday post. Thanks for sharing. Great truth from the word of God. Thanks for sharing. It was a pleasure visiting your site. See you again soon!